Hizbullah was detained from the ticket counter of Bandel railway station in West Bengal's Hooghly district late on Sunday. He is said to be a resident of Samsherganj in Murshidabad district. In a major breakthrough, the Special Task Force (STF) of Kolkata Police have arrested a Jamaat-ul-Mujahideen Bangladesh (JMB) terrorist, who is a key accused in Bodh Gaya blast. The terrorists had attacked during the visit of the Dalai Lama at Kalchakra ground in Bodh Gaya on January 19. Sources in the STF said that, following the blast, the accused had taken shelter in Hooghly. He was secretly working as a recruitment agent for JMB in the district. 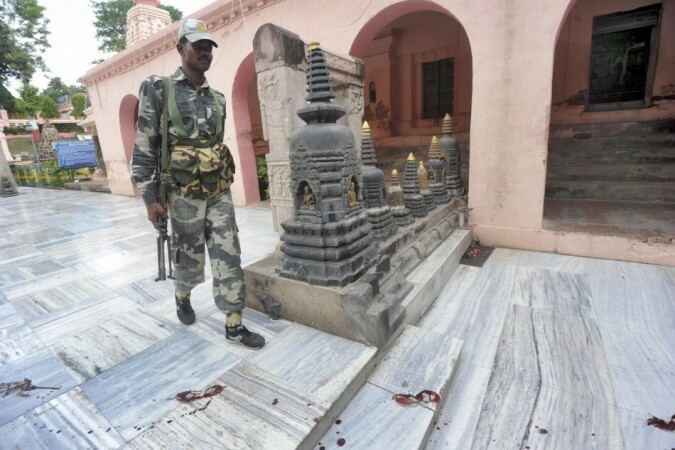 "He (Hazibullah) had helped in procuring explosive that was used by JMB cadre in Bodh Gaya mines," DC (STF) Murlidhar Sharma told DNA. From the time when the police had received a tip-off about the terrorist coming to Bandel railway station, they had been on his lookout. Noor Alam, another resident of Bangladesh, who was arrested recently in the case had given the intel. Based on that Hazibullah, the sixth accused in the Bodh Gaya blast, was nabbed on Sunday from the ticket counter of Bandel railway station. Earlier, the police had arrested Paigambar from Murshidabad and Jamirul from Darjeeling. They recovered a huge collection of explosives and other equipment from their possession. According to the sources from STF, Hazibullah was also present during the blast with the main accused. On Monday, he was presented at the court and sent to police custody for 14 days. He has been charged under sections 123 (concealing with intent to facilitate design to wage war), 121 (waging war), 121A (conspiracy to wage war) and 120B (criminal conspiracy) of the Indian Penal Code and significant sections related to the Explosives Act. The officers of STF are interrogating him in a hope to extract further information.